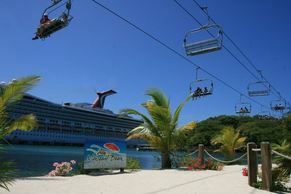 ​If you’re looking for a vacation at sea that’s as colorful as the décor of the cruise ship taking you there, an entire palette of fun activities and hot spots awaits aboard Carnival Glory. For starters, there’s a rainbow of salsa options for dressing up your tacos and burritos at BlueIguana Cantina, while Guy’s Burger Joint serves up burgers designed by the colorful personality himself: celebrity chef Guy Fieri. Speaking of colorful personalities, you’ll enjoy a variety of stand-up comedians at The Punchliner Comedy Club. 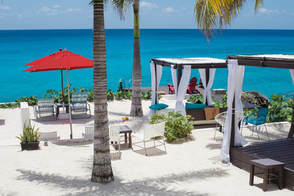 Picture yourself grabbing a drink at the open-air RedFrog Rum Bar or BlueIguana Tequila Bar… whichever color or spirit’s more your style. Represent your favorite team’s colors and enjoy a round or two at the SkyBox Sports Bar. 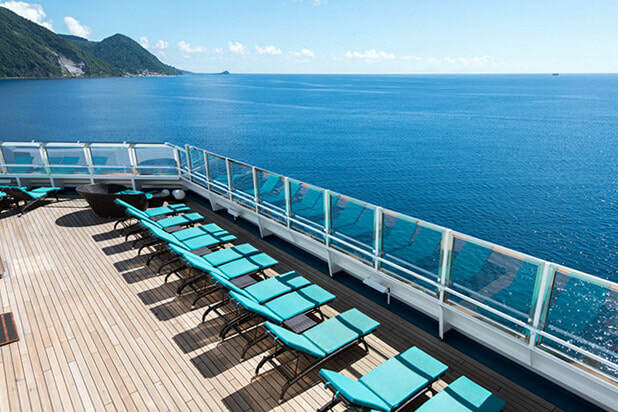 Catch a glimpse of what's going by from your Ocean View stateroom aboard Carnival Glory, where you'll get views you won't find anywhere on land. 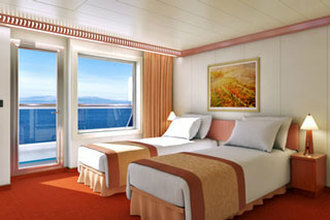 Don't miss sunrise and sunset at sea your comfy stateroom is the best way to experience these! You are required to register your name as it appears on your Passport or State ID along with date of birth when making your reservation. Passports are not mandatory for this sailing but are recommended. 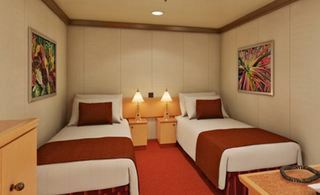 All adult travelers rooming together are required to complete our online Reservation Form. 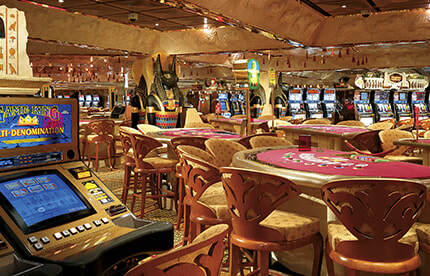 ​All travelers who are rooming together are required to make their initial deposit together. 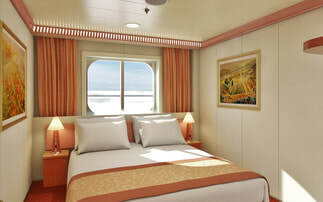 A double occupancy cabin will have up until 3 days from the date of the lead passenger deposit to make his/her deposit. If payment is not made within 3 days of the lead passenger initial deposit the roommate(s) will be charged a $50.00pp Reservation Revision Fee payable at the time of booking in addition to the deposit. 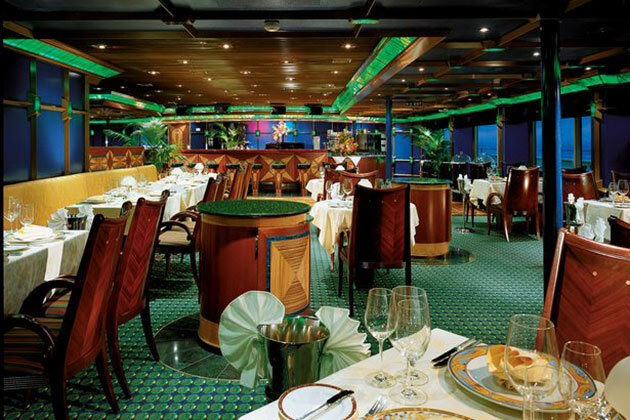 Name changes or additions are allowed at the discretion of Carnival Cruise Lines. Please adhere to the Monthly Payment Schedule. Monthly payments must be made to secure your reservation it's important that you make your payments on the scheduled due date, Rich Events only sends out reminders for the final payment. Payments received after the due date will incur a $30.00pp Late Fee. The late fee is not applied to your reservation and does not reduce your balance. Final payments that are 7 days past the final payment due date will be cancelled with no refunds. Please contact Rich Events of missed payment or cancellation in writing. If no contact is made within 7 days of the missed payment Rich Events will assume that you have cancelled your reservation and no refunds will be issued. If cancellation occurs and the occupancy of the room falls below the initial occupancy, payments must be paid to satisfy the adjusted room rate. Any new guest added to reservation will have to make all scheduled payments up to date and will be charged the Reservation Revision Fee of $50.00. 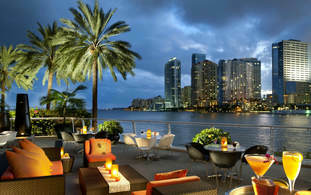 Canceled reservations will incur a $100.00 cancellation fee. A payment of $75.00pp is due by the 15th or 30th of each month. ​​While travel protection is not mandatory it is highly recommended.